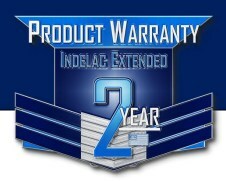 Warranty | Indelac Controls, Inc.
ICI warrants its actuators for a period of 24 months from the date of shipment. It will either repair or replace, at its discretion, the product(s) which prove to be defective in material or workmanship. No other warranty is included in this extended warranty. ICI's sole liability in connection with the use of its products shall be the products' repair or replacement. This extended warranty does not cover damage to, or failure of the product resulting from causes such as damage sustained during shipping or transportation, improper storage, improper installation, negligence or willful misconduct or omissions of any party other than ICI, normal wear and tear, abuse, misuse, modification, tampering, natural disasters, accidents, or acts of god. This warranty is extended only to products purchased after July 1st, 2017, and is valid only for the registered party for which the product serial number matches. This warranty of ICI’s product is not transferable.